A nine-year-old boy is being called a hero for pulling a young peer away from the path of an oncoming car. The incident happened when Tony Leong, a student at Douglas Road Elementary in Burnaby, B.C., was on a routine walk home from school when he noticed a kindergarten student was in the path of a car making a sudden turn into a gas station. As crossing guard Kelly Engleson yelled “Boys and girls, stop!”, young Tony grabbed the jacket of the boy in front of him, to pull him back. Engleson told CTV Vancouver that the child’s actions saved a life that day. “There is no question in my mind, that little boy would have been hit by that car,” said the crossing guard. After Engleson contacted the city about what happened, Leong was honoured at a ceremony with an RCMP “Certificate of Appreciation” for bravery. 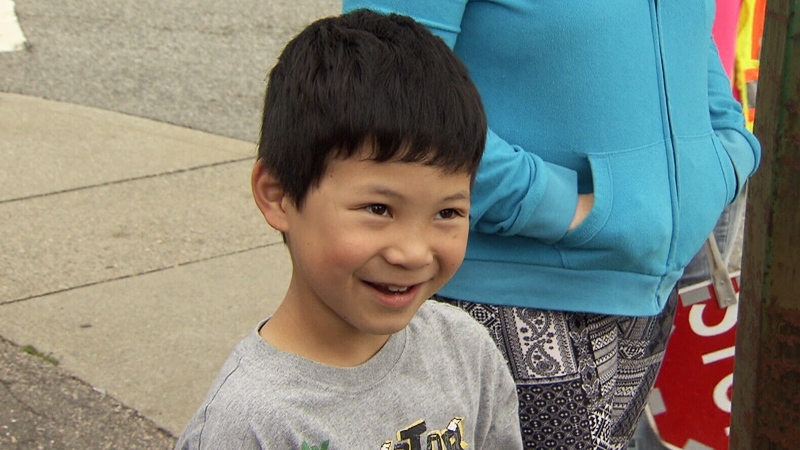 Tony Leong, 9, speaks to CTV Vancouver's Maria Weisgarber.